Looking for professional data recovery services in Orland Park, IL? Look no further than Secure Data Recovery for help with all of your data recovery needs. With decades of experience, our engineers have been able to recover lost data from any type of media. Not only do we have decades of experience, but we also have top of the line equipment and facilities; thereby giving you the highest success rate and best chance at any data recovery case. Many of the large companies in Orland Park, IL depend on us to retrieve their data when they experience a system failure. Secure Data Recovery has the most reliable data recovery services compared to any other recovery company. Losing your most important data can be frustrating. We know that you need your data back fast so that you can get back to business with minimal downtime. Therefore, we offer many different services options. Our services are often customizable, that way, you only pay for what you need. If you need your data recovered immediately, Secure Data Recovery offers 24 hour emergency services. We also provide online case monitoring tools. Online monitoring allows you to see what stage your case is in and provides additional up to date information. Another unique service we offer is free device diagnostics and a no data no recovery fee policy; which means there are no upfront costs and if we can’t retrieve the data you are looking for you are not responsible for data recovery cost. Within minutes our professional engineers can successfully determine that root of your data loss situation. If you are experiencing any of the above signs that your data is failing or any other signs, call Secure Data Recovery right away. Attempting to recover your own data can lead to permanent file loss. 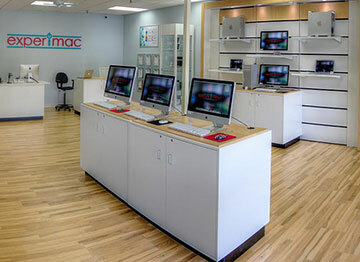 Let the local Orland Park experts at Secure Data Recovery get your files back quickly. I was so worried as I had an external hard drive that was not working and had to send it into Secure Data Recovery. I had so many photos on the drive. Scott Moses walked me through all the steps and was able to recover these memories on the drive. I am very thankful for his work and help. We had a M.2 SSD drive that would not boot after a laptop got wet. There was critical research data on it that needed to be recovered. Rob at Secure Data was our single resource for the recovery. He followed through every step of the way, answering all of our questions, from the moment he received the hard drive, until I received the old hard drive back. We were very pleased with the results. The time to repair was quicker than expected. Would definitely recommend. Ryan was helpful, prompt and communicative in the process of recovering my data.